Our goal is simple. We want to make your life better. We are committed to improving lives. We are experts in Diabetes, Thyroid, Osteoporosis, Weight loss and Hormonal conditions. Our solutions are personalized, focused on you and your success. At Texas Diabetes & Endocrinology, our dedicated physicians and team of educators work closely with you to meet your goals. Thyroid ultrasounds and other diagnostic tests are all done here, on-site for your convenience. The physicians at Texas Diabetes & Endocrinology are focused on high quality research in the areas of Diabetes, Thyroid, Osteoporosis, Obesity, Cholesterol & Hypertension. The doctors and staff at Texas Diabetes & Endocrinology are committed to helping people lose weight, maintain weight loss and gain better control of their health. At Texas Diabetes & Endocrinology, we take a personalized approach because we believe that people have specific needs. We treat people who have Type 1, Type 2, gestational diabetes and pre-diabetes and work closely with them to develop a plan that works best for their lifestyle. We look at nutrition, lifestyle and other alternatives in addition to conventional treatments. Our physicians and educators work closely with patients to help them meet their goals. We believe that diabetes management options are better than they have ever been. People with diabetes can lead a healthy life. 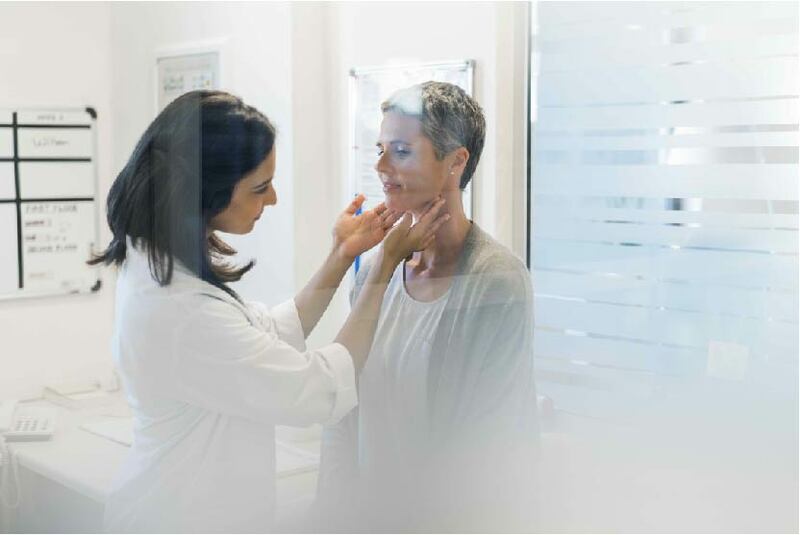 At Texas Diabetes & Endocrinology, our board-certified physicians are experts in all Thyroid conditions and offer the latest treatments available. Common conditions that we see are Hypothyroidism, Hyperthyroidism, Thyroid nodules and Thyroid cancer. While these diagnoses can be concerning, rest assured that they are all treatable. Most thyroid nodules are benign and do not require surgical intervention. If a nodule is found, we offer a prompt and accurate evaluation to determine a treatment plan. Thyroid ultrasounds are a mainstay in the management of Thyroid nodules and Thyroid cancer. We are a full-service clinic. Thyroid ultrasounds and biopsies are done on-site, in an outpatient setting for your comfort and convenience. At Texas Diabetes & Endocrinology, we are committed to helping people gain better control of their health. Weight loss will not only positively affect the way a person feels, but can lead to improved diabetes, cholesterol and blood pressure management. In particular, people with diabetes can reduce their need for blood sugar medication, including insulin, by losing weight. After evaluating many weight loss systems, we chose the Ideal Protein diet to be the core of our program. While following the Ideal Protein protocol, a person's pancreas will get a well-deserved break by limiting simple and complex carbs until their weight loss goal is achieved. The program is medically designed, containing two key components – sensible weight loss and sustainable, stable weight maintenance.